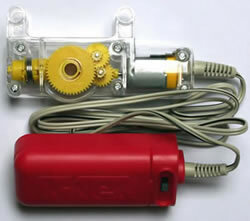 The KNEX Tethered battery motor is an electric motor attached to a separate 3v power pack. The power pack has a three-position switch allowing the motor to be run in either direction. It takes two AA batteries (not supplied). The motor is enclosed in a transparent case, so that you can see how the motor drives the rods through a series of gear wheels. Battery motors are very good for models where you dont need the motor to turn a rod very fast, but you do need quite a lot of power, such as a Bulldozer or Ferris wheel. 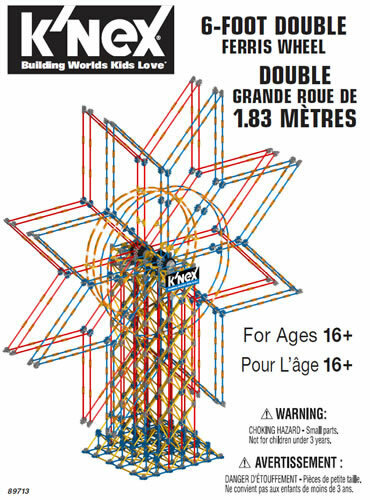 A number of K'NEX sets include a Tethered battery motor, such as the 79818 K'NEX K-8 General construction set. 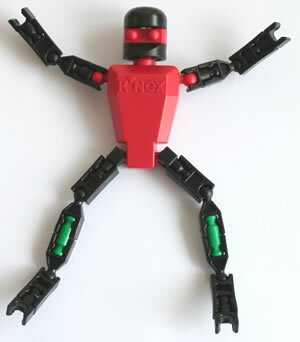 The Tethered battery motor can also be bought as an individual item in our K'NEX shop. Please also view important information about batteries. To use a Tethered battery motor, first push a rod (quite hard) either through the hole in the middle, or into the hole at the end. Experiment by turning on the switch on the battery pack to turn the rod in each direction. The easiest way to attach the motor and battery holder to your model is to join the battery holder and motor together, as shown in the photo opposite. Then you can attach connectors onto the end of the rods pushed through the holes in the battery holder/motor, as shown in the photo opposite. Finally, read Hint W6 if you want to make your battery motor turn wheels or connectors. 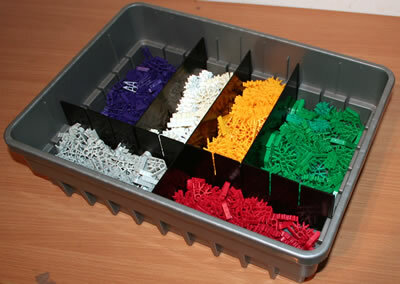 You can view lots of examples of K'NEX models powered by the Tethered battery motor at K'NEX Motorised models to build.